Donald Trump has kicked off his time in the White House by watching cable news, pushing for a litany of ghoulish new policies, and lying profusely. One of his claims is that three to five million people voted illegally against him in the election in order to ensure that he lost the popular vote. Leaving aside the obvious fact that this is hogwash, it’s logically nonsensical for an illegal voting conspiracy to focus on the popular vote and ignore the vote that actually counts. The three witnesses recall the story this way: Mr. Langer, a 59-year-old native of Bavaria, Germany — a winner of the Masters twice and of more than 100 events on major professional golf tours around the world — was standing in line at a polling place near his home in Florida on Election Day, the president explained, when an official informed Mr. Langer he would not be able to vote. 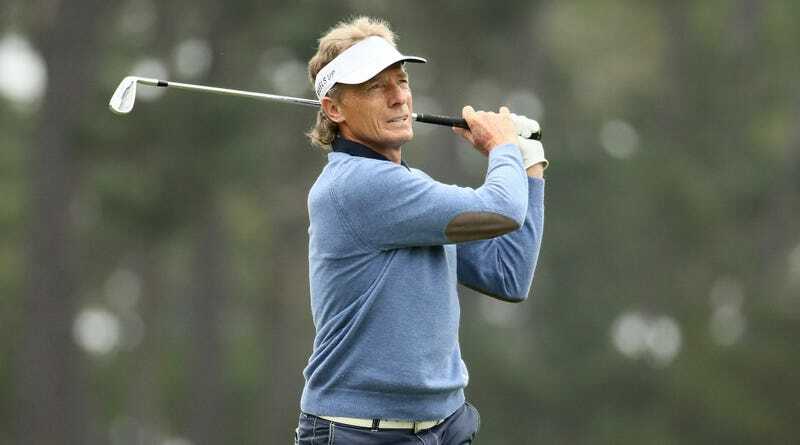 The punchline, of course, is that Langer can’t vote in the United States. Additionally, a source in the report said that the anecdote wasn’t even originally about Langer, but Langer’s friend. This is similar to last night, when he popped off a lie-riddled tweet about “carnage” in Chicago that he pulled straight from Fox News. Trump sees something which aligns with his worldview, and he seems to immediately accept it as fact without need for verification or counsel. A man who consumes his news through blatantly wrong memes and secondhand stories is steering the United States towards insane policy decisions because of them.